Carolyn Becker MD is Associate Professor of Medicine at Harvard Medical School (HMS) and the Marshall A. Wolf Master Clinician Educator in the Division of Endocrinology, Diabetes and Hypertension at Brigham and Women's Hospital (BWH) in Boston, Massachusetts. She initially pursued a career in sociology, obtaining a BA from the University of Pennsylvania and an MA in sociology from the University of Illinois in Champaign-Urbana. After a reassessment of life in her mid-20s, she switched to medicine and obtained her medical degree from Harvard. She completed an internship and residency in internal medicine at Michael Reese Hospital in Chicago then returned to Boston for her clinical and research endocrine fellowship at Massachusetts General Hospital. For the next 14 years, she worked as a clinical endocrinologist in Danbury, CT and Mt. Kisco, NY before joining the Metabolic Bone Unit at Columbia-Presbyterian in New York City as associate director of the osteoporosis center. During that time she also served for six years on the American Board of Internal Medicine Subspecialty Board of Endocrinology, Diabetes and Metabolism. In 2007, she returned to Boston to take a position as the first Master Clinician within the Division of Endocrinology, Diabetes and Hypertension at BWH, which included fulltime endocrine practice and teaching. 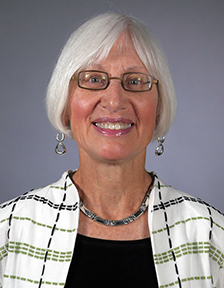 After nearly 30 years in both private and academic practices, she retired in 2014 to devote her time to the education of medical students, residents, endocrine fellows, and practicing clinicians. She currently serves as a tutor and preceptor for first year medical students at HMS, and a clinical observer of BWH medical residents, teaching them the “art” of medicine. She is Co-Course Director for the BWH Annual Intensive Review of Internal Medicine and is a frequent lecturer locally, nationally, and internationally in the areas of metabolic bone disease, calcium disorders, and osteoporosis. She recently was instrumental in developing two new on-line courses for the Harvard Global Academy on the topics of “Health Care Disparities” and “LGBTQ Health.” In 2016, she was honored as a Distinguished Clinician at BWH. Dr. Becker is also an active member of the Endocrine Society having served as Vice President of the Society, Chair of the annual Clinical Endocrine Update course, and a member of numerous committees including the Endocrine Board Review where she heads the Calcium Section. She was recently named the recipient of the Endocrine Society's 2018 Laureate Award for Outstanding Educator.